Customer service excellence is paramount to the success of the hospitality sector, especially when visitors with just one negative or positive review on TripAdvisor can make or break any hotel property. It is with this in mind that the Ministry of Tourism and Civil Aviation is focused on improving customer service at several small hotel properties around the island. Last year the Ministry of Tourism through the Grenada Tourism Authority (GTA) under the Small Hotel Programme, held training for 3 batches of frontline hotel customer service representatives, in customer service excellence and supervisory management. The programme is designed to provide skills and techniques to strengthen the service quality delivery in the tourism industry and focuses on a positive service attitude, professionalism, good work ethics, communication skills and how to deliver excellent customer service. Batch 4 training for customer service was completed on Wednesday, 6 March, and today the 2-day training for supervisory management will commence at the Public Workers Union Building in Tanteen. It is being facilitated by AJ Business Solutions. 7 small hotel properties were represented at the training workshop which consisted of 15 individuals currently working in the hospitality industry. A representative of AJ Business Solutions, Aine Brathwaite, is the facilitator of the training. She said during the planning of the programme, supervisory training was identified as an area of focus to ensure that management in small hotels can develop and implement policies and leadership to ensure that quality product and service are delivered to our guests. “The areas we covered was positive attitudes, professionalism, work ethics and then we give them skills in terms of four steps to delivering very sound customer service. The whole process is very interactive, it is based on real time and real issues in terms that are very practical and simple to under by the participants,” said Brathwaite. GTA Communications Officer Ria Murray was particularly pleased with the outcome of the training. 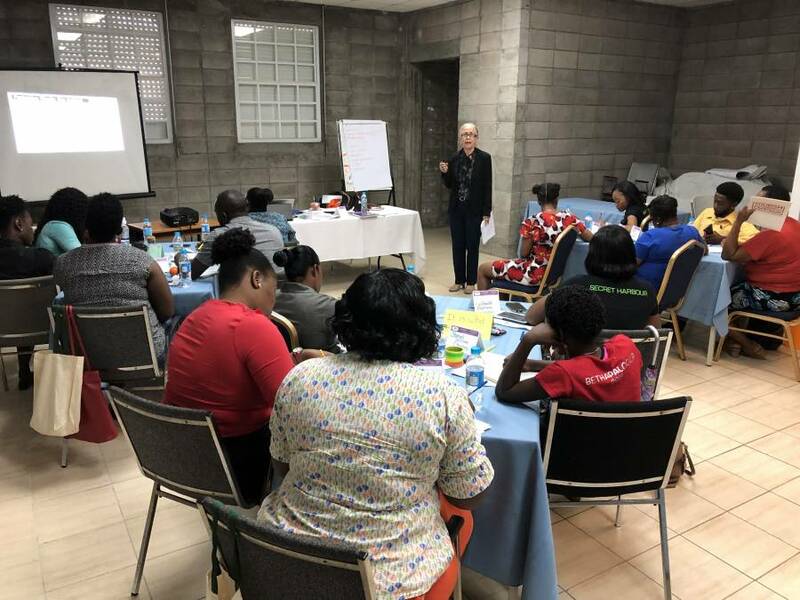 “It is very important to continue training in customer service excellence and also supervisory management because we know that first impressions last as a result, we would want our frontline personnel to a point where their customer service is excellent and that our guest feels comfortable,” she said. Under the Small Hotels Programme, small properties can obtain soft loans for upgrades of their physical plant from a $2 million fund through the Grenada Development Bank. In addition, $1 million has been set aside for training, needs assessment, promotions, and product enhancement.